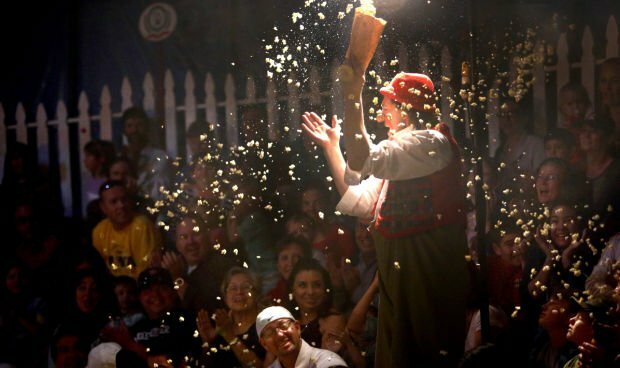 Giovanni Zoppe, as Nino the clown, sprays the audience with popcorn as he works the crowd during a skit in a performance by the Zoppe Italian Family Circus, hosted by UA Presents, at Reid Park, Saturday, January 11, 2014, Tucson, Ariz.
Giovanni Zoppe, in character as Nino the clown, makes his way across the tightrope high above the ground for a performance by the Zoppe Italian Family Circus, hosted by UA Presents, at Reid Park. The show rounded out its six-performance schedule with two final sold-out shows on Sunday. Debbie Russo and two of her grandchildren Ethan, left, and Colton Bunch watch as the tumblers warm up the awaiting crowd prior to the Zoppe Family Circus. But it's not just any circus. This one will take you back in time with its old-world charm and feel under a 550-seat big top tent and classic performances such as trained puppies, a clown, equestrian shows, balancing acts, acrobats and more. You will not see elephants at this show. 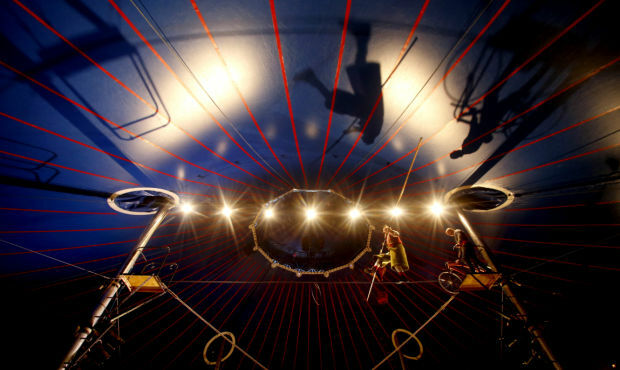 The Zoppé Family Circus, which originated in Italy in 1842, will be performing in Tucson for the eighth year starting Friday, Jan. 11 at the Mercado San Agustin, 100 S. Avenida del Convento. "The Zoppé family shares our home with you as you enter into the tent," says Giovanni Zoppé, great-great grandson of the founder. "Guests can expect beautiful equestrian showmanship, amazing human acts of strength, balance and grace, joyful humor, adorably trained pups and more." At the heart of the circus is family. It started when a young street performer and an equestrian ballerina fell in love. The two ended up running away together to Venice, Italy where they founded the Zoppé Family Circus. The circus was later brought to the U.S. by the founder's great-grandson, Alberto Zoppé and his wife, Sandra. The two performed and ran the circus for many years. Alberto died in 2009. The show is now run by their son, Giovanni, who also performs as Nino the clown. Tucson families can experience the circus at various times Jan 11-13 and Jan. 17-21. And, they can expect to be delighted, Giovanni says. "Most of all guests can expect to lose themselves in two hours of living in another world, another time," Giovanni says. "The talent in the show is phenomenal, the feel is magical, the comedy is perfect, the entire experience is just a delight." Cost: $30 for adults; $20 kids ages 3-12. A family pack which includes four tickets is $80. Get a $5 discount at checkout with the code "Zoppe19"
Our writers took a few minutes to pick out their favorite stories of 2018. 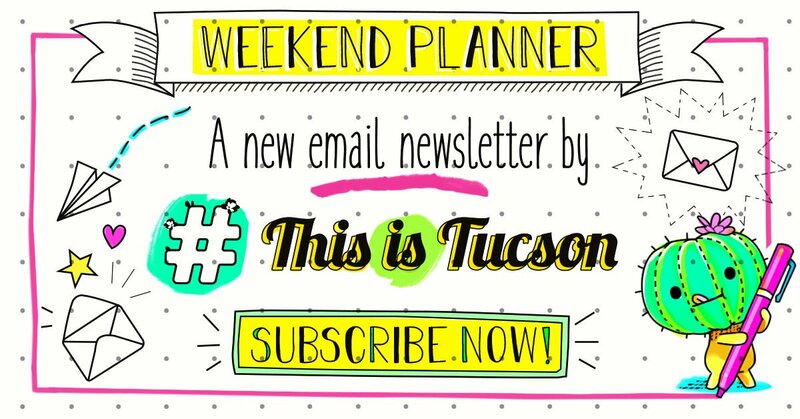 With so many local events and festivals to choose from each year, it can be hard to keep track. Bad guy hero John Dillinger has a Tucson connection.